John B. Joyce is a Shareholder at Grenen & Birsic, P.C. John chairs the firm’s litigation group. 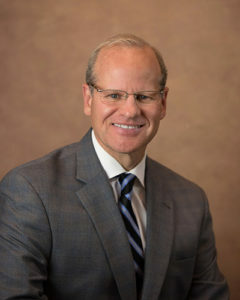 Representing banks and financial institutions, he focuses his practice on secured creditors’ rights in commercial cases and defense of lender liability claims in State and Federal courts, including bankruptcy court. Mr. Joyce has litigated cases with evidentiary issues involving forensic fraud, business valuations, the feasibility of business reorganization, breach of contract and Daubert challenges. John has presented programs on a range of legal topics, to organizations such as The Pennsylvania Institute for Certified Public Accountants, Thurgood Marshall Leadership Conference and the American Inns of Court. Pre-Bankruptcy Lease Termination: Overlooked Benefit? The Monitor, 1997; republished in LEAN, 2008.